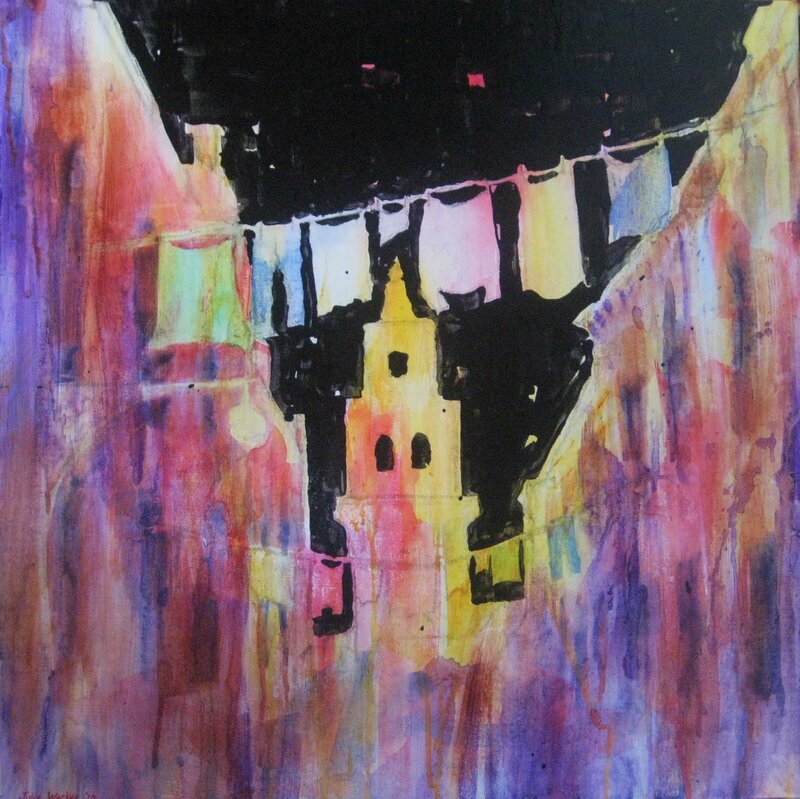 One of my painting from my Washing Line series is a part of the ‘Joy of Living’ exhibition at Waterfont Place in Brisbane at the moment .This exhbition runs until the 21st May and is in aid of Cerebral Palsy. Check it out .There are 250 works of art. 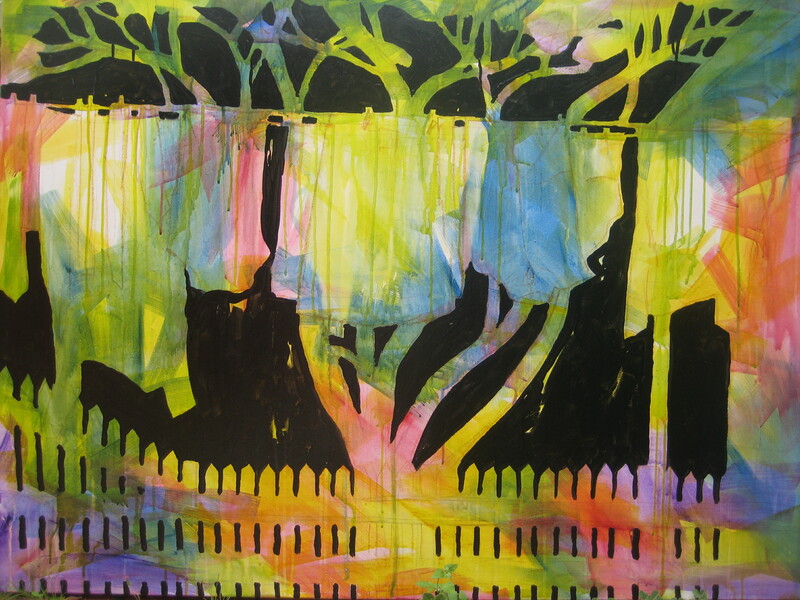 This painting is of my own washing line with our jacaranda tree in the background.